← Happy Cologne Day – Jo Loves Giveaway Winner Announced! My recent run-in with springy white florals in general and Chanel Gardénia in particular, brought my attention to another (off-)white floral in the Les Exclusifs line – Beige. Named after one of Coco Chanel’s (and my) favorite colors, Beige manages to be elegant and very Chanel, while at the same time being young, carefree and – yes, people, I’m saying it – a fruity floral. Beige was created by Jacques Polge in 2008 and includes notes of hawthorn, freesia, frangipani and honey. Beige opens almost loud, definitely present and very perfume-y. It shinks back over time, but don’t underestimate that opening, or you could get quite uncomfortable in the morning commute. A sweet floral bouquet at first, with decidedly fruity aspects, Beige dries down to a soft, musky skin scent that sweetens your skin and seemingly melds into it, making what is left of Beige after a few hours, almost good enough to eat, definitely good enough to wanting to get close to. I won’t speculate about the price-value issue here, because if you love it you will buy it anyway and if you don’t, you won’t. I have stopped discounting something because of price, if I want it I’ll save for it (I do draw the line at 500 GBP for the latest Armani Privé though). Beige is easy to wear and doesn’t require any kind of effort, but smells very put together and refined, just like the most comfortable garments do. Coco knew about the power of beige – there is a lot of elegance to be found in understatement. 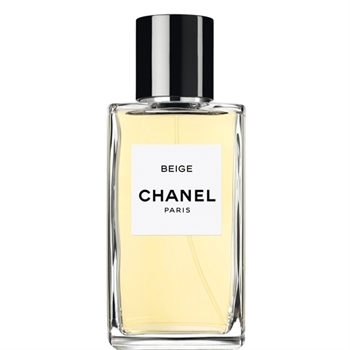 This entry was posted in Chanel, Floral, Fragrance Reviews, Fruity, Honey, Jasmine, Les Exclusifs de Chanel, Musk and tagged Beige, Chanel, floral, Fragrance, Jacques Polge, Jasmine, Musk, Perfume, Review. Bookmark the permalink. I like a number of entries in the Exclusifs line, but I’ve never tried Beige. I will have to ask for a sample the next time I’m in the boutique. I’ve decided to save up for La Pausa first. I am really exploring the Les Exclusifs line and Beige is really lovely. 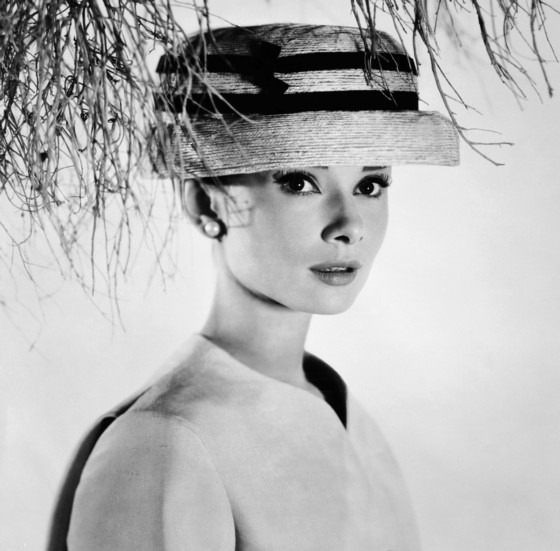 Audrey Hepburn up there certainly evokes what the essence of Beige is. A perfect visual addition to your perfect review. I do love Beige but I isn’t something I can not wear. The opening is just too immensely floral but darn it, it is so elegant. Oh well, I am more the Sycamore, Coromandel, Cuir de Russie kind of guy so I have others that I can add to my collection. I too save up my pennies for perfume… and the Les Exclusifs line is so worth the time it takes to get the cash together. In the time it takes to save the money the anticipation of the acquisition is ingratiatingly fun. Beige is really very feminine, I can iagine it is ot so easy to wear for a man. oh….. I will do a test drive on 31 Rue Cambon ….most defiantly. Beige was the first perfume from this line I bought (mini bottle, eBay) and I enjoy wearing it from time to time. It won’t be my first or second choice in the line-up if I had to choose (Cuir de Russie and Bois des Iles will) but it would definitely share the third and forth place with Coromandel. We see Beige rather similarly then. Oh I really must start exploring the line! One of these days I will meander to the boutique again and try to smell my way through them. Thank you for the lovely review. Love Exclusifs line – they are worth it. This summer I saved some money, and in late August went to Berlin and bought Coromandel (75 ml). My next Mission is to go to London and get me some 31 Rue Cambon. I have been musing over the price, and reached the conclusion that they are not as pricey as they seem – the ml-price is not more than for ordinary high quality departmentstore perfumes. So buying Les Exclusifs could not even be considered senseless splurging (if one would need to justify buying these lovelies – I am sometimes asked to *explain* why I *need* another bottle of such expensive juice). Yet, I have not tried Beige, but now I shall. I have some plans on La Pausa, but if Beige is as lovely as you describe, plans may change….. I just got a sample of Beige, as well as Jersey, along with the fb of No.22 that hubby gifted me! I absolutely love Jersey, but haven’t tried the Beige. I admit I thoughtlessly popped it into the sample box to try later, thinking that I’ve read that it’s nothing special. I sure will try it today, it sounds lovely from your description, Birgit! Let me know what you think, once you’ve tried it! Tried Beige today. Chanel’s fruity-floral, done with exquisite quality ingredients – almost a mainstream crowd pleaser. Almost. There is something sunny about it, I get a rosey-citrusy opening. About 90 minutes into it, it definitely becomes more floral – something familiar that I can’t put my finger on. Lilac? Very pretty. Maybe not “me,” and not autumnal. But lovely! Certainly not autumnal, I agree, but lovely indeed! I’m glad you had a good day with Beige. I don’t feel the need to own it either, but it’s a real nice fragrance. Oh, thanks for the info. So you loved it? Good to hear Asali likes it too, I’m in good company then. I love Beige and you have inspired me to spritz some as I was undecided about what to wear today. It is my favourite Les Exclusif. On me it is a smooth honeyed, elegant floral. I get no fruit, interestingly, although that would not put me off, one of my all time loves is OJ Osmanthus a cheerful fruity floral. In general, I think I am a wardrobe basic kind of girl, my collection of nice, wearable fragrances sits happily alongside my wardrobe of predominantly black, neutrals and denim! Maybe all those honeyed florals read fruity to my nose. I enjoy my Beige sample too! I really like Beige, though was reluctant to try it a first. I have to admit the name just didn’t inspire me and I don’t think anything beigey at all when I smell it. The first couple of minutes I find I have to patiently wait out, I hate to say it but, just a little bit shrill I find, but it does go on to a lovely little chorus that sort of hums along. I find it very pretty and up lifting and I feel happy when I wear it. I have a decant of it, and that is probably enough for now, as I find I’m only moved to wear it once in a while. When I was talking to the chanel SA last time I was in the boutique she referred to both Beige and Gardenia as the sort of ‘gateway’ les exclusif fragrances. The most accessible ones, easy to like and wear and what they are most likely to hand out to people who don’t ask specifically for something else. Though I have to say it is definitely a kitten magnet. A couple of times when I’ve been wearing it in the vicinity of kittens I’ve been literally swamped by them. Kitten nip! That sounds like really good advice from that SA (it’s rare enough!). The opening is indeed loud, as you say, but thankfully that stage doesn’t last long. I love Beige (the scent, not the color! ), and I wear it a lot. I live in a tropical climate, and inexplicably, I get a very strong tropical vibe from it. We are leaving for a long weekend on the beach today, and I am wearing Beige right now (coincidence?). Gateway AND getaway. Gateway and getaway – I love that! Are you in Florida? Enjoy your weekend!